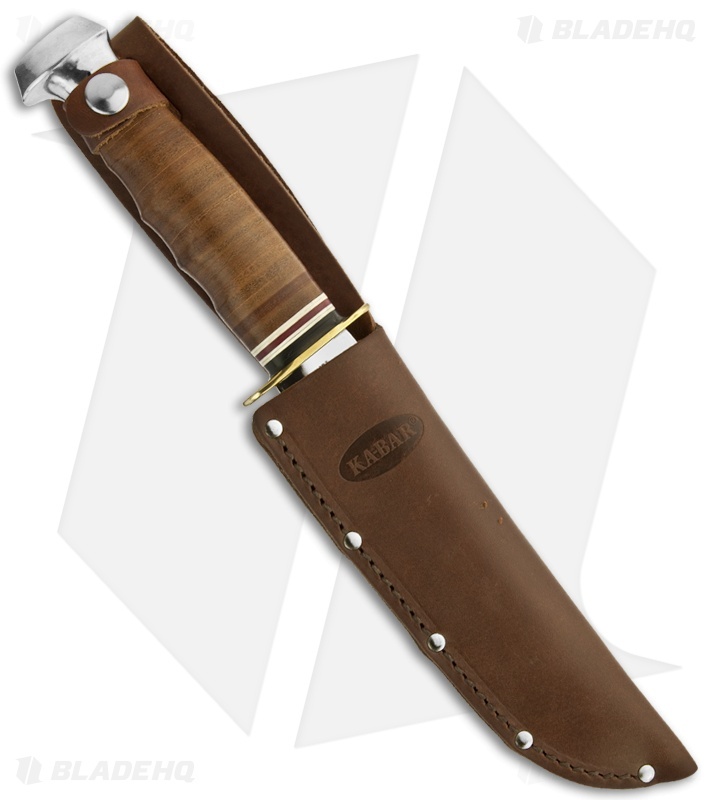 The 1235 Ka-Bar Marine Hunter is a classically styled hunting knife that has been popular since the early 1900's. 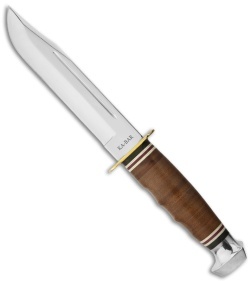 It features a polished stainless steel Bowie blade with hollow grinds. The brass guards and stacked leather handle are complemented by colored spacers and an aluminum pommel. Includes a brown leather KA-BAR sheath.